Festivals have become a growing attraction for an important population segment that schedules their holidays and chooses a destination on the basis of such events. Such an important topic will be on the spotlight of FITUR 2018 - The International Tourism Trade Fair. Organized by IFEMA and taking place from 17 to 21 January at Feria de Madrid, FITUR 2018 is adding a new monographic section FITUR Festivals, organized in collaboration with Spain Live Music, the Spanish Music Tourism Association. 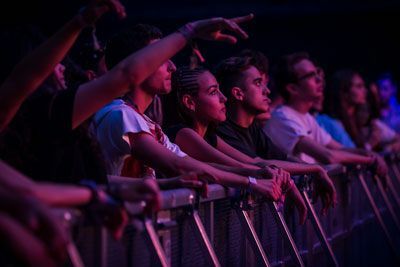 According to the SGAE, almost 22 million people attended music events this year. This has led promoters, organizers and tourist companies to increasingly work together to provide the best shows, services and experiences for millions of travelers from around the world, and FITUR Festivals will be the perfect stage for giving them the tools that will help them boost this growing tourist niche. FITUR Festivals will combine the industry’s professional offering with the offer available to the general public. The international outreach of FITUR 2018 will provide an excellent showcase in which festival organisers, promoters, destinations, the industry’s supplier and ancillary companies, specialised travel agencies, ticketing companies and festival sponsors, among others, can display their offering and create business. FITUR will thus provide an exhibition area integrating an auditorium for live presentations and round tables. It will also feature demonstrations by exhibitors and will fit out a chillout zone to favour networking among attendees. FITUR 2018 will be the global meeting point for tourism professionals and will this coming year once more become the leading trade fair for Latin American inbound and outbound markets. The last staging saw the participation of 9,893 exhibitor companies from 165 countries/regions, with a total of 135,838 trade visitors and 109,134 visitors from the general public. Together with the new FITUR Festivals, FITUR 2018 will feature the regular sections FITURTECH Y, the forum for Sustainability, Innovation, Technology and Business organised by the Instituto Tecnológico Hotelero (ITH); Fitur Know-how & Export, organised by SEGITTUR in collaboration with ICEX and FITUR; FITUR Shopping; FITUR Health together with Spaincares; and FITUR Gay (LGBT) organised by Diversity Consulting International. In addition to this, the Trade Fair will also include the staging of Investour, the Tourism Investment and Business Forum for Africa organised jointly by the UNWTO, Casa África and FITUR. Reserve your hotel in Madrid early to enjoy lower rates.